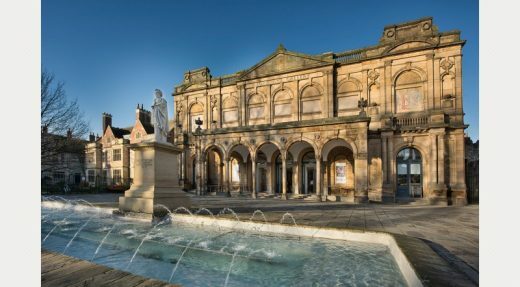 Tate Harmer has won an architecture competition to design a new arts, design and performance centre for York St. John University. 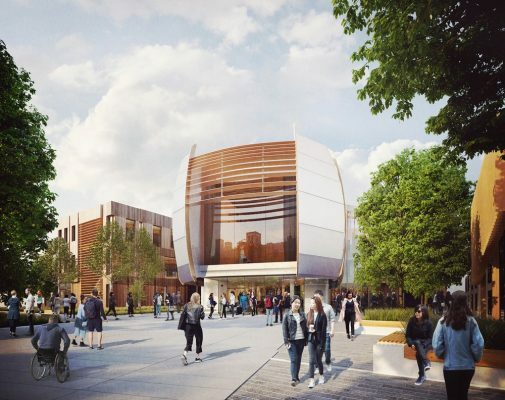 Creating an aspirational focal point for the university, the design aims to provide a 200-seat auditorium and flexible teaching space that can adapt to various students’ needs and the evolution of art, design and media production courses. Shortlisted architecture practices included Feilden Clegg Bradley, Building Design Partnership, Nicholas Hare Architects, Portacabin and AHR Architects. 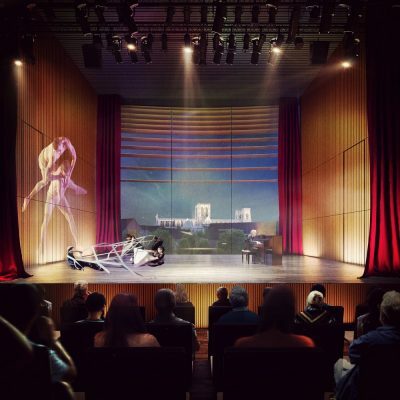 Modelled on New York City’s Lincoln Centre, the new auditorium will be flanked by a large window facing onto York Minster, offering a unique portal to the performances within, and spectacular views of the cathedral outside. The new hall will support a broad range of performances, including multi-disciplinary and technology-driven creative collaborations. With the plans still to be finalised, Tate Harmer’s proposal would deliver 3,000 sqm of flexible teaching space as well as allowing for the potential expansion of an additional 1,500 sqm. 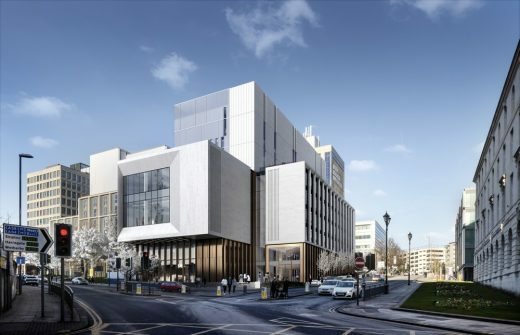 The proposed scheme includes a collaborative atrium space that will link the teaching spaces and auditorium, creating three levels of communal area, effectively acting as a ‘mixing valve’ between creative disciplines. This communal space will connect on the western side of the building with the existing Design Centre. This will be enclosed by a cost-effective ETFE foil covering, similar to that used in the Eden Project. 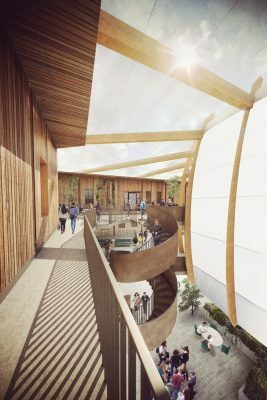 The atrium will be made of a timber-framed structure with a clear ETFE enclosure to provide a covered green space for collaboration, whilst the teaching blocks will be constructed out of timber framed CLT to create large clear spans for maximum flexibility. 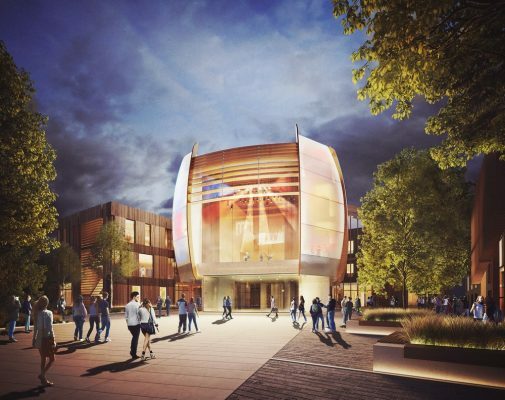 The auditorium will form a beacon at the centre of the campus, facing onto York Minster and creating a new civic space at the heart of the site. A new landscaped street will link all existing and proposed buildings forming an integrated, easy to navigate centre of the campus. 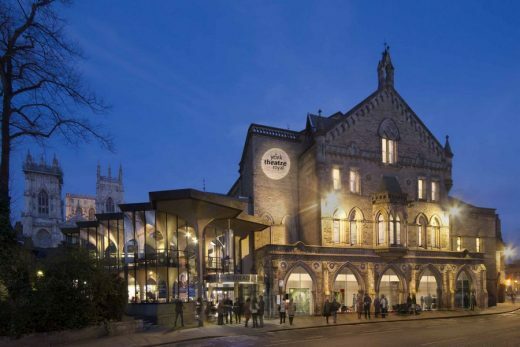 “We are delighted to have been chosen by York St. John University to design their new Creative Centre.” says Jerry Tate, Partner at Tate Harmer. Founded in 2007, Tate Harmer is one of the UK’s leading sustainable architects working within natural environments, based in East London. 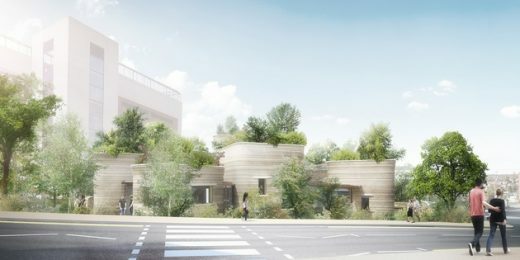 The practice is experienced in residential, cultural, leisure and education projects, creating inspirational and sustainable spaces for people and communities that connect with, and respond to the natural environment. 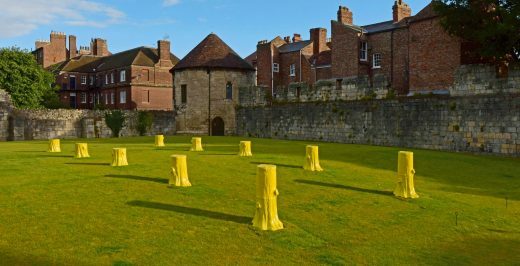 The practice specialises in producing bespoke, economical solutions for sensitive locations, unique landscapes, important historic settings or tight urban pocket spaces. Recent projects include The Brunel Museum, The Museum of Scouting and Cranleigh Prepatory School. The practice has also delivered a number of playful interventions at the Eden Project including a series of high level visitor walkways and a treetop research station. Tate Harmer works in and around London and nationwide.